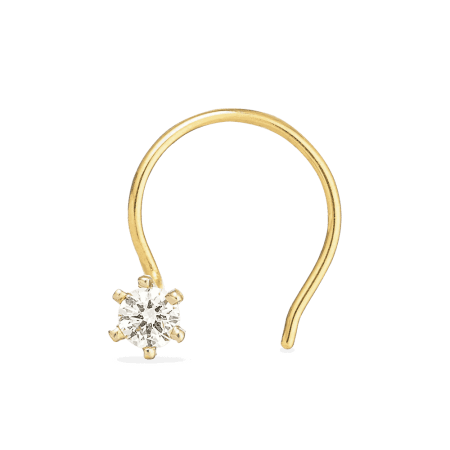 If you’ve arrived here after a search for ‘diamond nose pin’ or ‘diamond nose pin price’ then it’s clear that you are a careful and thoughtful buyer. 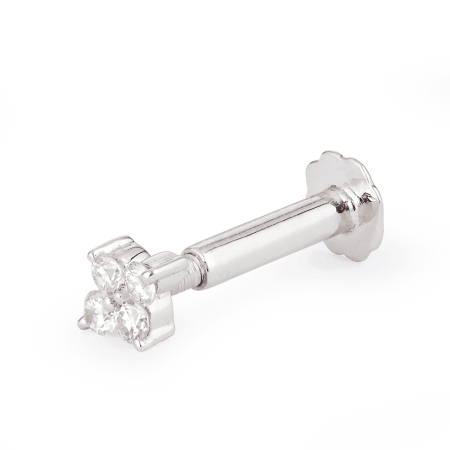 We price our diamond nose pins – in fact all of our diamond jewellery – with great care so that they represent value and quality. 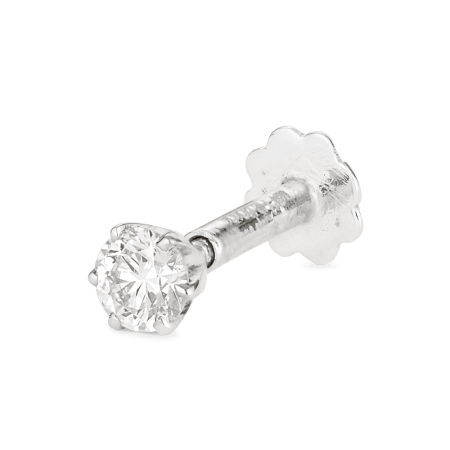 Why choose PureJewels’ diamond nose studs and pins? 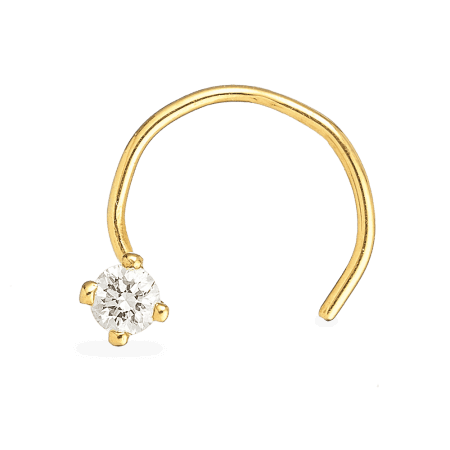 A nose piercing is a classic Indian tradition, stretching back for centuries. 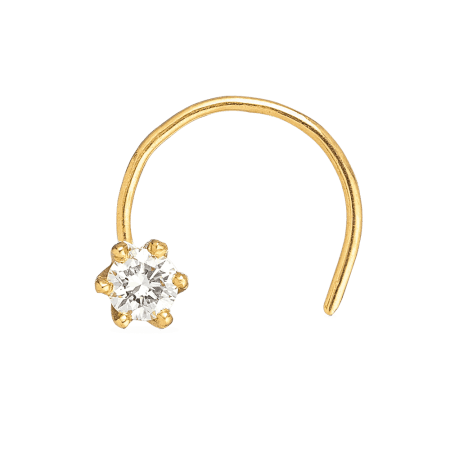 Nose piercing is often chosen by a newly married woman and believed by some to increase fertility. 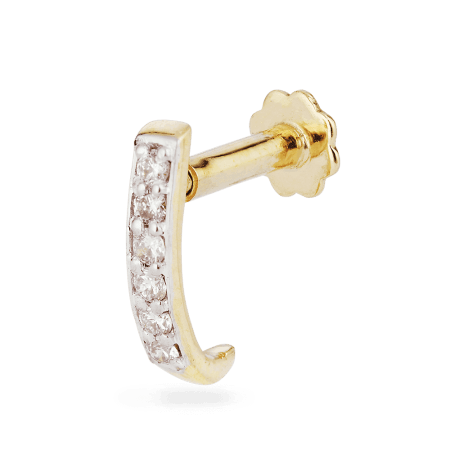 A diamond nose stud is a favourite choice, especially if it is a gift from a husband upon the time-honoured occasion of nose piercing. 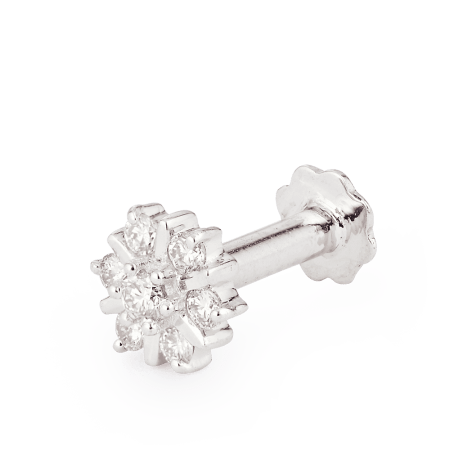 It’s a piece of jewellery that you’ll wear every day; and our diamond nose studs have everyday prices. We don’t compromise on the quality for price, though. 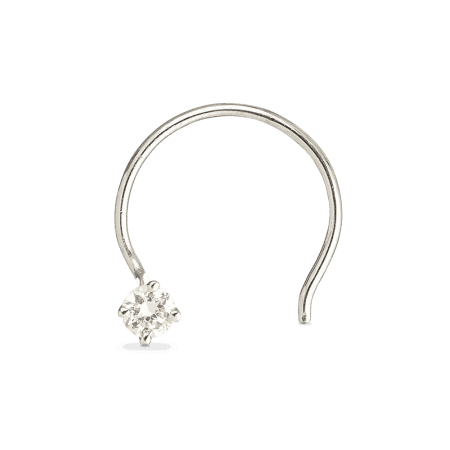 Choose a diamond nose ring or stud in 18ct yellow or white gold, and it will last a lifetime. Our diamonds come from one of the world’s finest cutting centres in Surat, India. 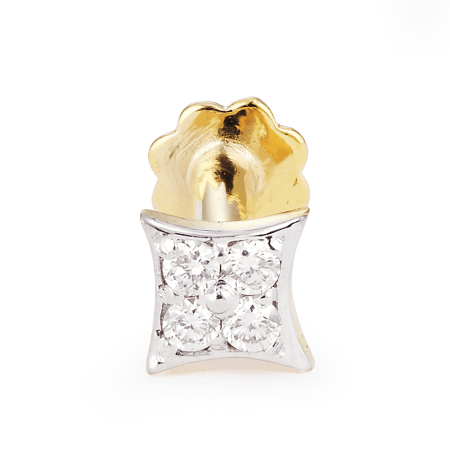 PureJewels has been selling gold jewellery – including diamond nose pins and rings – for four decades, from our modern showroom in Green Street, London. 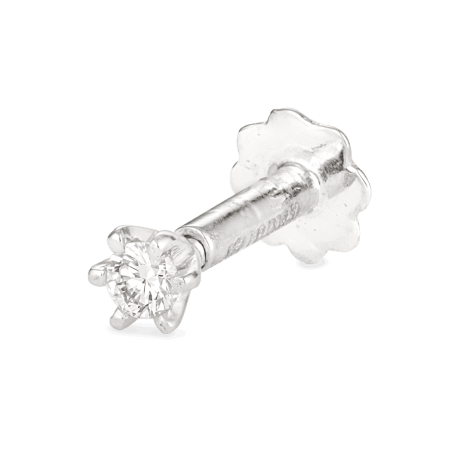 We’ve seen generations of local families in the shop buying their engagement rings, diamond nose rings, bangles and – as time passes – investment gold and jewellery for their grandchildren. 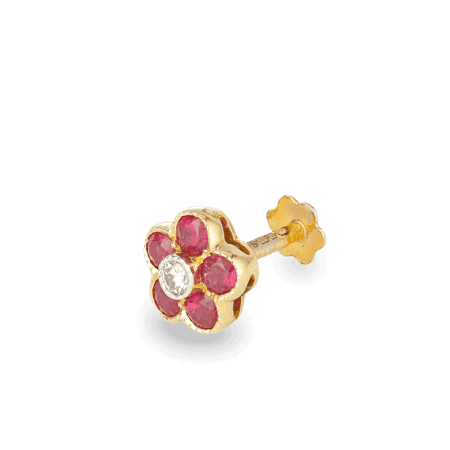 Our heritage reaches back to 1960s India, when our founder Bhanji Gokaldas travelled to Britain to sell his bespoke jewellery. 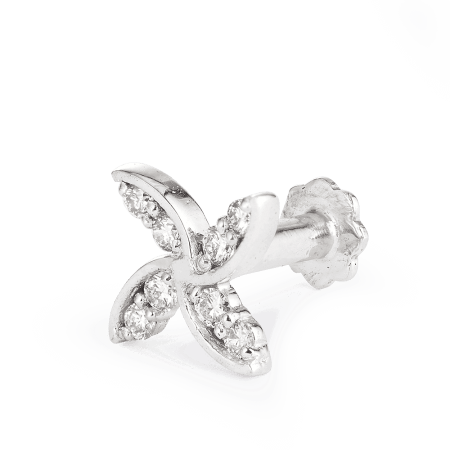 Still run by the family, PureJewels has a caring team and a passion for incredible quality. 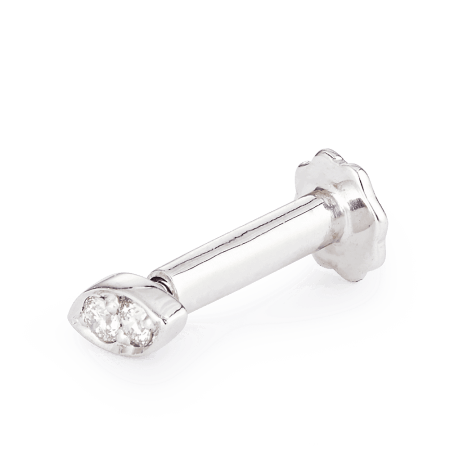 Certified quality pins and studs. 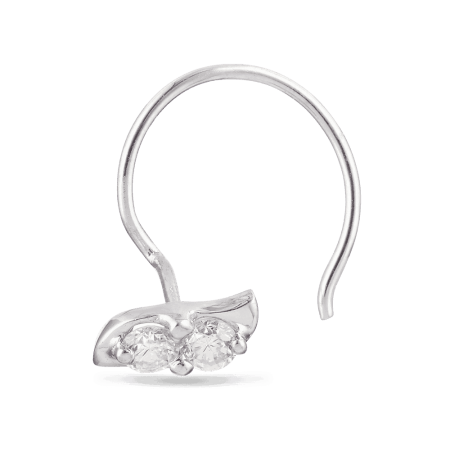 Each diamond nose pin price includes a gift box and an IGI (International Gemological Institute) Certificate. 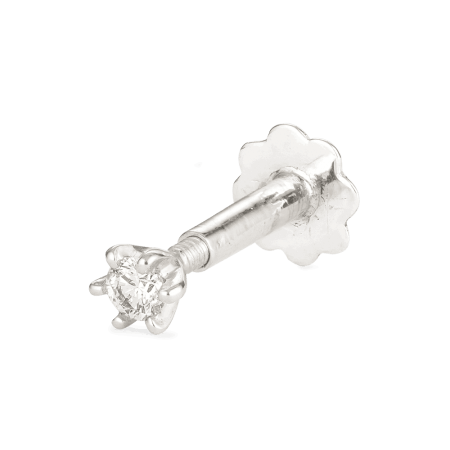 Many of the Diamond Certificates are available to view online – check the description for the diamond nose pin that you are viewing. 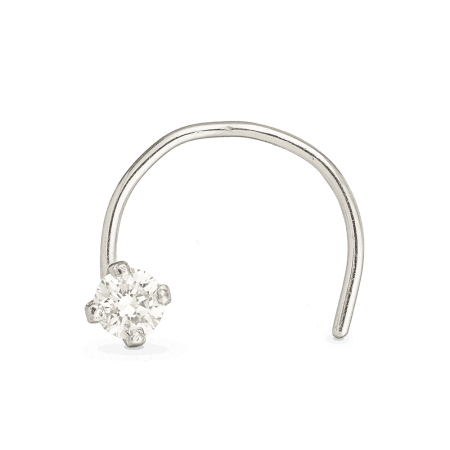 It will display the diamond’s weight (carat), cut, minimum colour, and minimum clarity. 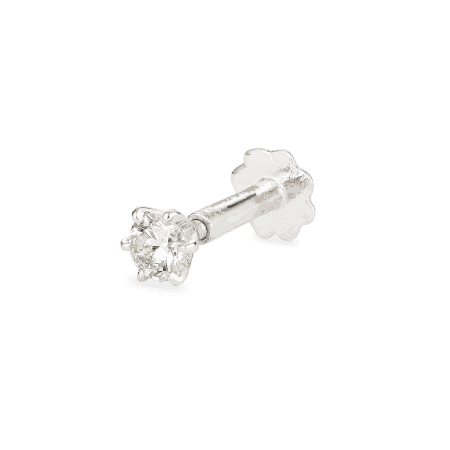 You can find certificates online for most of our diamond nose pins (links are included in the descriptions). Carat is just the size or weight of the diamond. 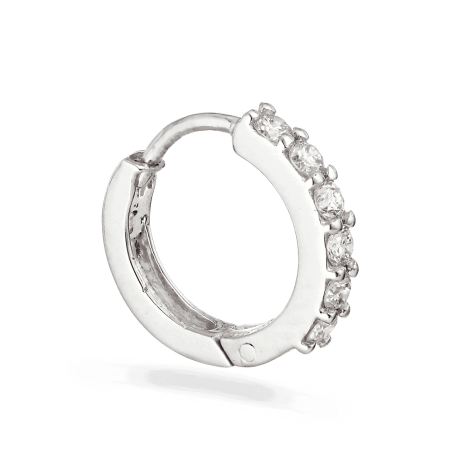 Cut is (for our diamond nose rings and pins) round brilliant (this means the stones are facet-cut for a beautiful shine). COLOUR: Colour is rated on an alphabetical scale, with D being colourless, and E-Z reflecting the gradient of colour. 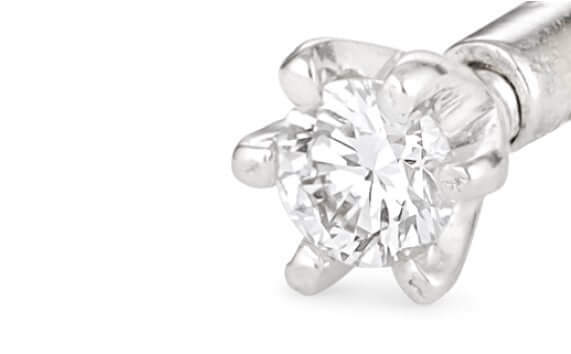 Colourless diamonds are sought-after; but a diamond of G or H won’t be noticeably tinted. CLARITY: Rated from IF (Internally Flawless) to Very Very Slightly Included, Very Slightly Included, Slightly Included, and Included. (There is a helpful scale diagram on the GIA website.) 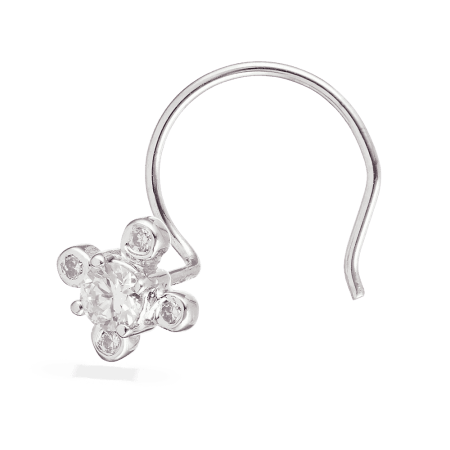 The Clarity scale refers to imperfections or inclusions inside the stone, which are mostly invisible to the naked eye. At the top to middle end of the scale, Clarity is largely a technical rating and won’t affect the beauty of the diamond to most viewers.